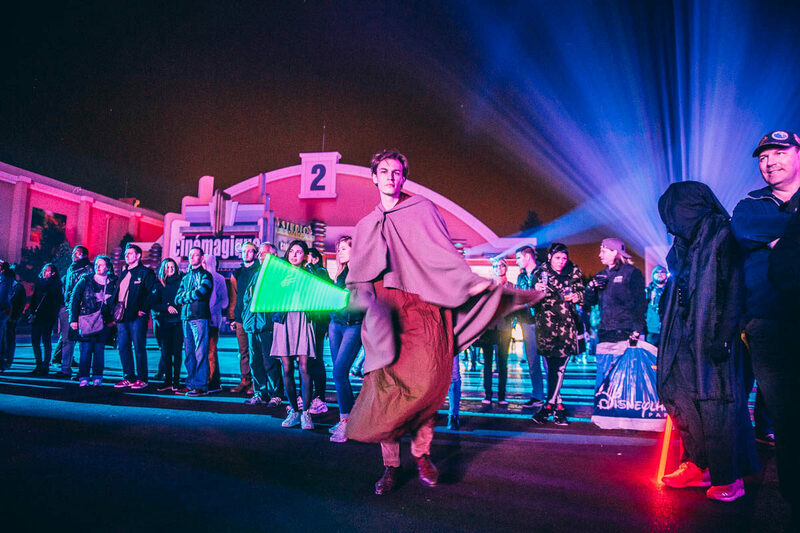 Soirée Star Wars, as Star Wars Nights are called in Disneyland Paris are a brand new concept for the resort. 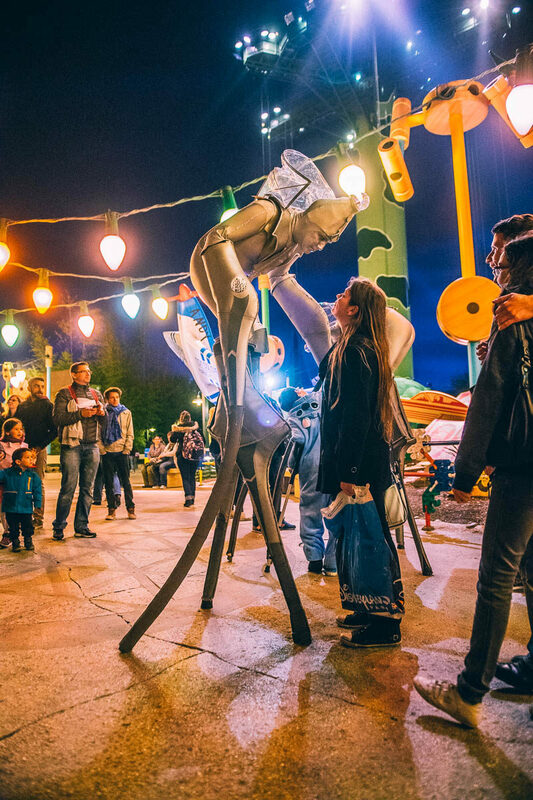 With earlier such nights having been tried out, this is the first full blown themed evening concept for the park, but did it succeed? Let’s check it out. 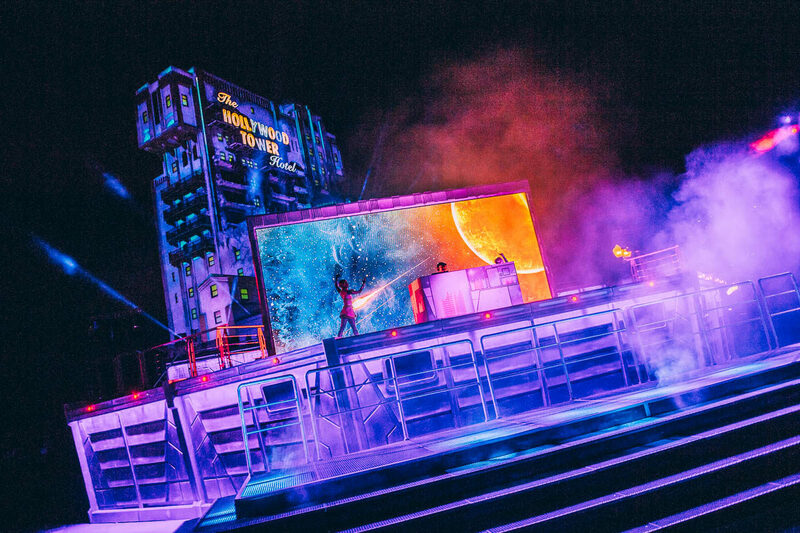 First of all, Star Wars has been getting a massive increase in the Disneyland Park, from just Star Tours, to the updated Star Tours: The Adventures Continue, a new Star Traders, a meet & greet area called Starport, the Jedi Training Academy and now the Hyperspace Mountain themed overlay, and using the Discoveryland Theatre as Path of the Jedi. 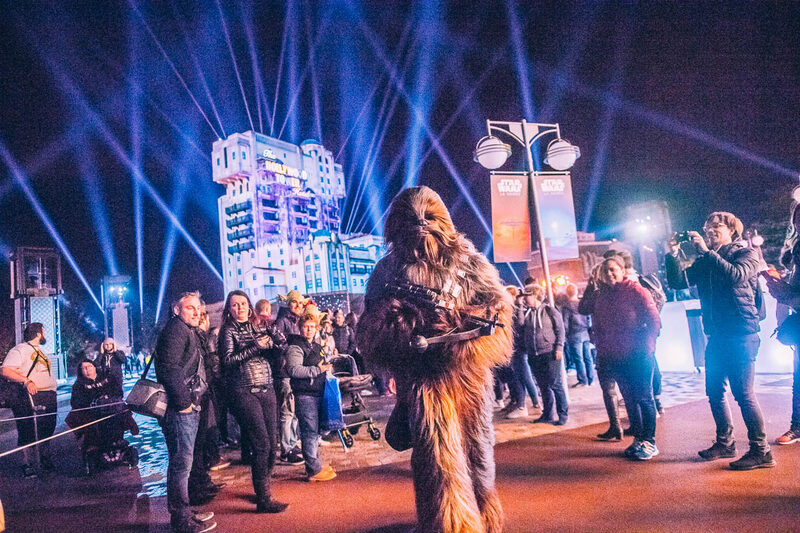 However, before all of these launched, Disneyland Paris rebranded its winter off-season as Season of the Force, with a lot of brand activations in the Walt Disney Studios Park. 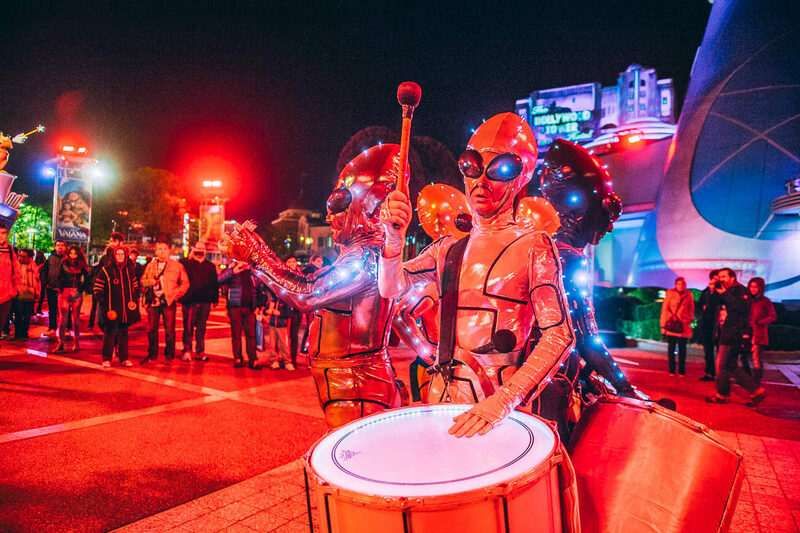 Stormtrooper patrols, March of the First Order, a stage show, and the first full nighttime spectacular for the park. It was a roaring success, with a lot of positive press and an apparent influx of visits. 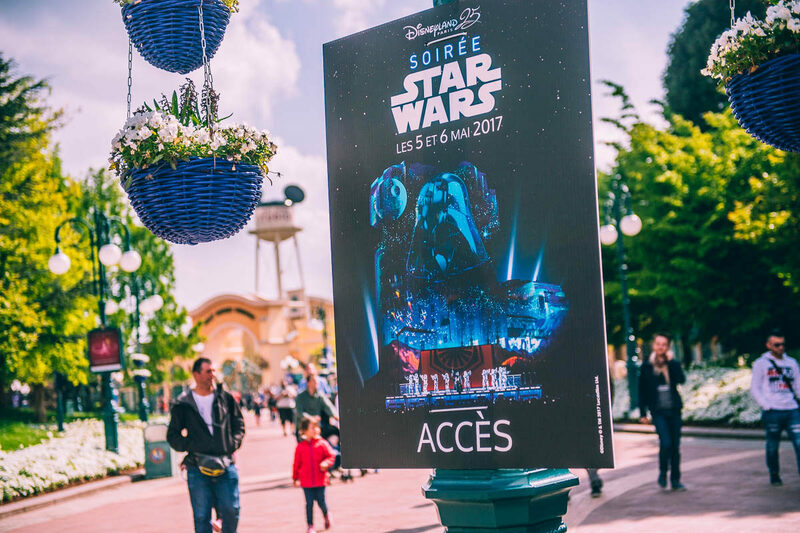 To capitalise on this success, last Friday and Saturday, Soirée Star Wars were held for guests. 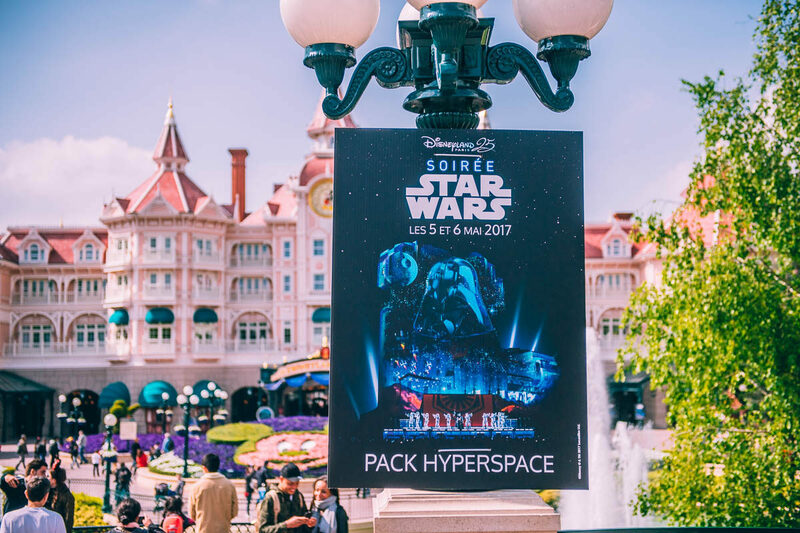 With tickets costing 49 euro for the basic package in the Studios, an additional 15 euro could bring you the Pack Hyperspace, giving you early access to Star Wars: Hyperspace Mountain – Rebel Mission that opened past Sunday. 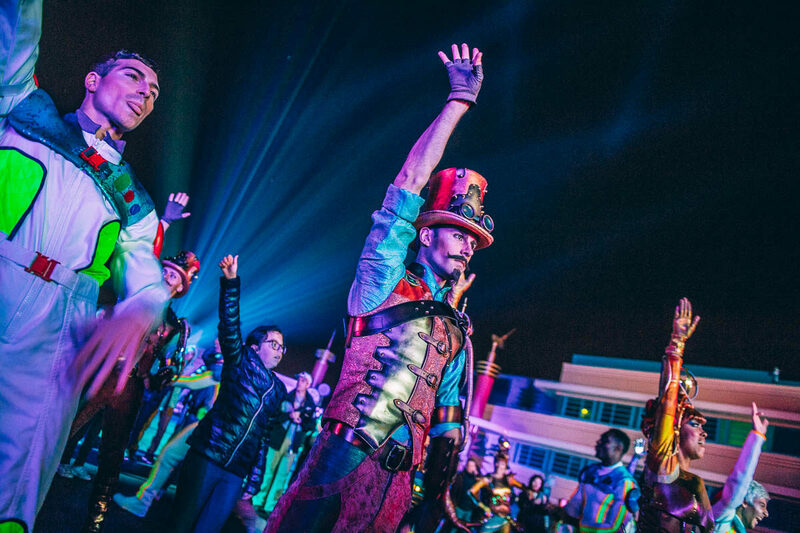 Reports of a heavily discounted tickets for hotel guests also reached us, offering tickets for as low as 15 euro, implying that the ticket sale may have not been as positive as hoped. 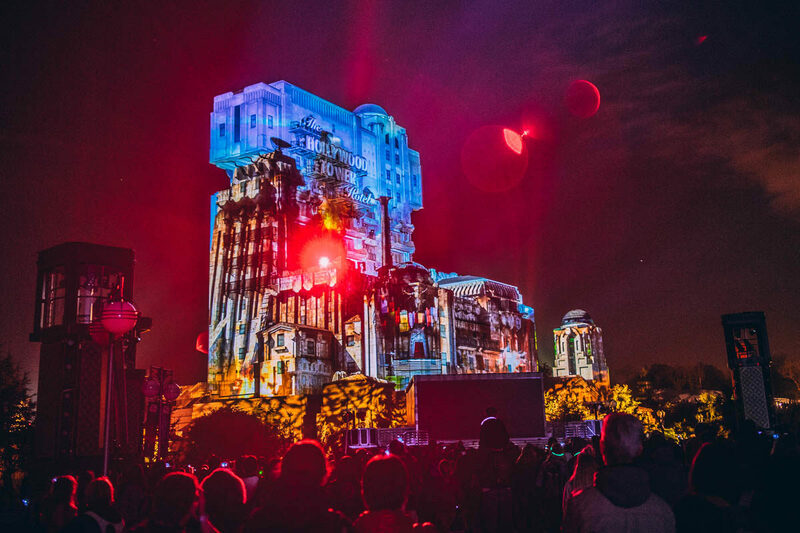 Thanks to a gracious invite from Disneyland Paris, we headed to the parks this past Friday and experience the event for ourselves. 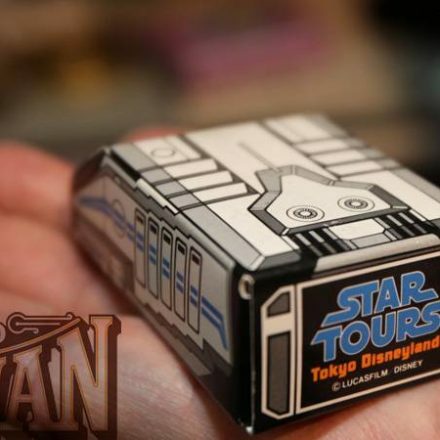 After spending most of the day trying out every different variation of Star Tours, by 5 pm we headed down to Main Street to pick up our bracelets and our exclusive pin. While waiting in two consecutive queues, it was time to head down to Hyperspace Mountain first, followed by Path of the Jedi. 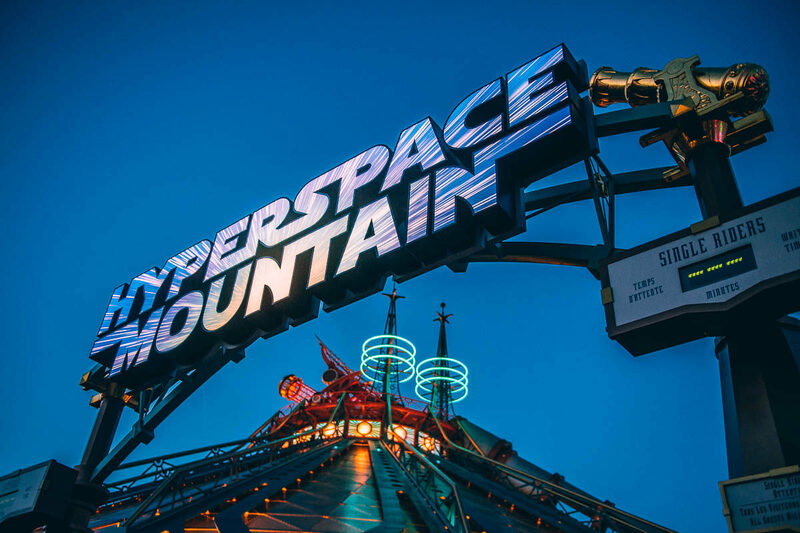 Read our Hyperspace Mountain review here. 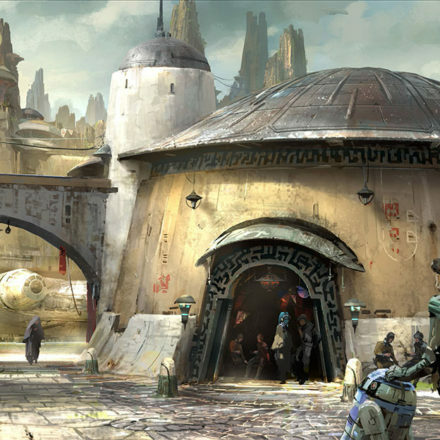 Read our Path of the Jedi review here. After those experiences, we headed down to the Studios which by now had closed down. Most attractions where still open to guests wearing a bracelet, so we enjoyed some attractions that most of the time have a way too long waiting time for what they are. Our first Star Wars experience in the parks today was the Stormtrooper Patrol. Normally these are two classic stormtroopers, but today were First Order troopers. 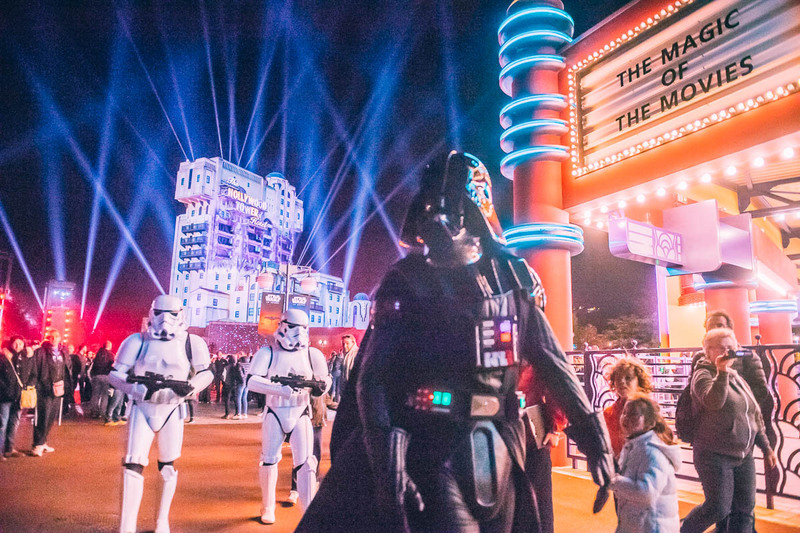 Basically most of the entertainment came courtesy of Season of the Force, including the March of the First Order, Star Wars : Une Galaxie Lointaine, Très Lointaine and the nighttime spectacular Star Wars : La Célébration Galactique. Brand new was a meet & greet with Darth Vader and Chewbacca, despite there being a brand new meet & greet building created especially for this occasion in the Disneyland Park. Also on the menu was a copy of the Jedi Training Academy, still aimed at kids, which we did not seem to find in the park. There was also a chance for some themed make-up and pose in front of some new backdrops. 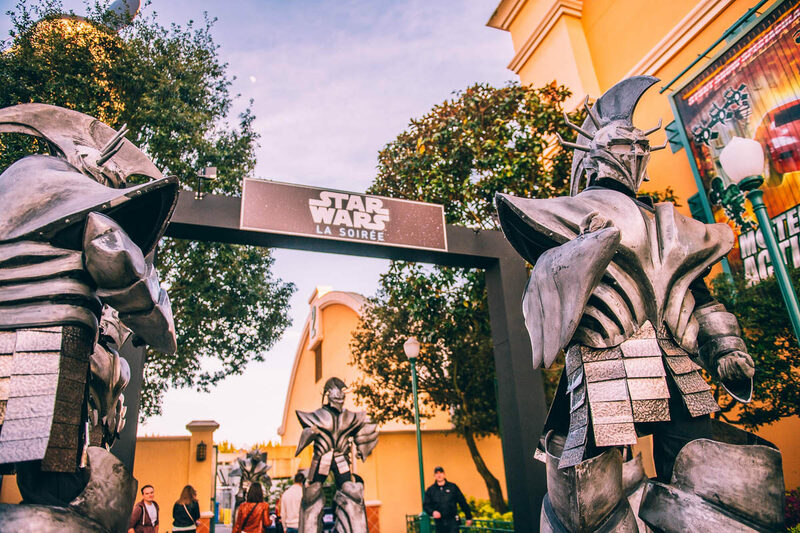 When entering the studios we passed by a themed bit of backstage with a themed gate, which seems to be a leftover over from the RunDisney event a few months back, and some huge creatures, which have never been seen before in the Star Wars universe. 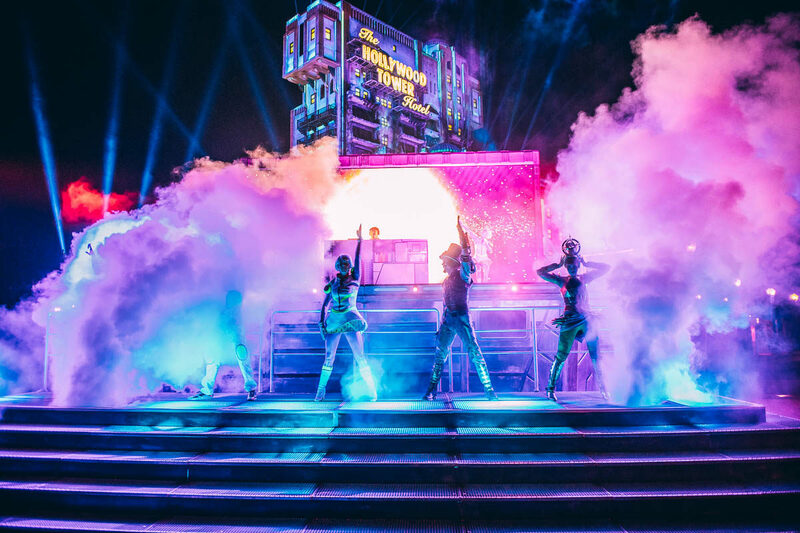 Probably because just like all the extra entertainment in the park that evening came from the Disney Business Solutions stock. The handful of classic stormtroopers that we saw seem to have come from the 501st legion, whose members could be seen enjoying the parks during the weekend. Was it so hard to get some Jawas, Tusken Raiders and other masked characters instead of generic sci-fi outfit? The red tubes imply Lightsabers we imagine. Though fun (and a tad creepy), they’re no Star Wars characters. 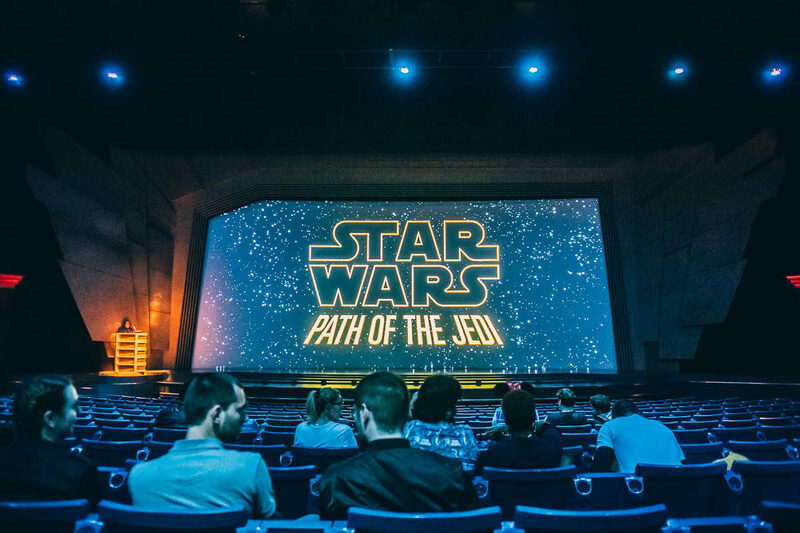 Main event was the showing of the great Star Wars: A Galactic Celebration, but for some obvious reason unknown to us, the French version got chosen for the event. We’re really starting to see a trend here. But still, the production value of the show itself makes it still very watchable and enjoyable. 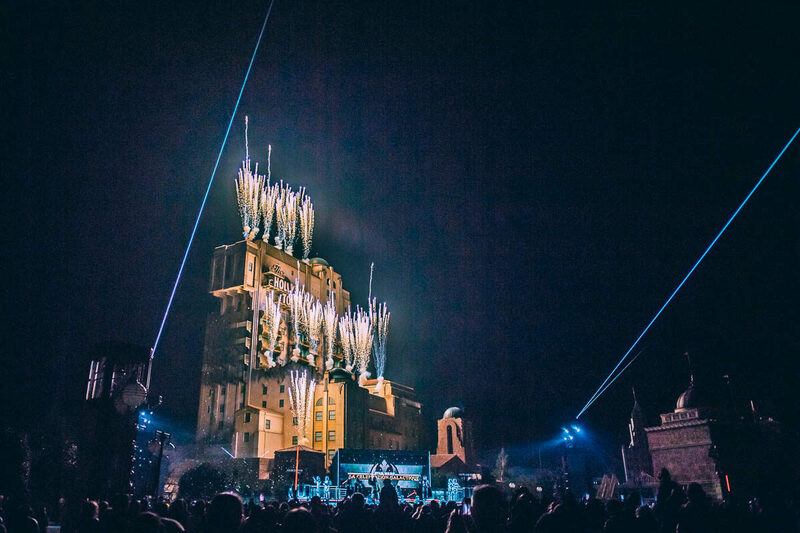 The evening closed with Star Wars Celebration and Star Wars Weekends alumni DJ Eliott who started a dance party for a few hundred guests, and a dozen dansers wearing the 25th Anniversary Celebration Discoveryland outfits. (One part Steampunk, one part Buzz Lightyear). Despite it being branded a Star Wars night, it all felt very cobbled together from various sources, without a real plan. 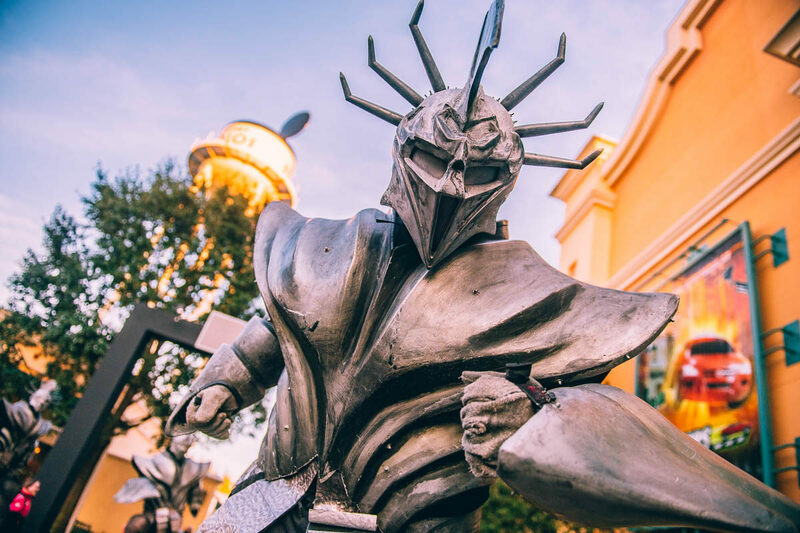 With Season of the Force retired for the year, it would have made perfect sense to move over all of this towards Discoveryland, and create something unique, instead of rehashing content people have already experienced for the price of regular admission before, rather than for an inflated price. 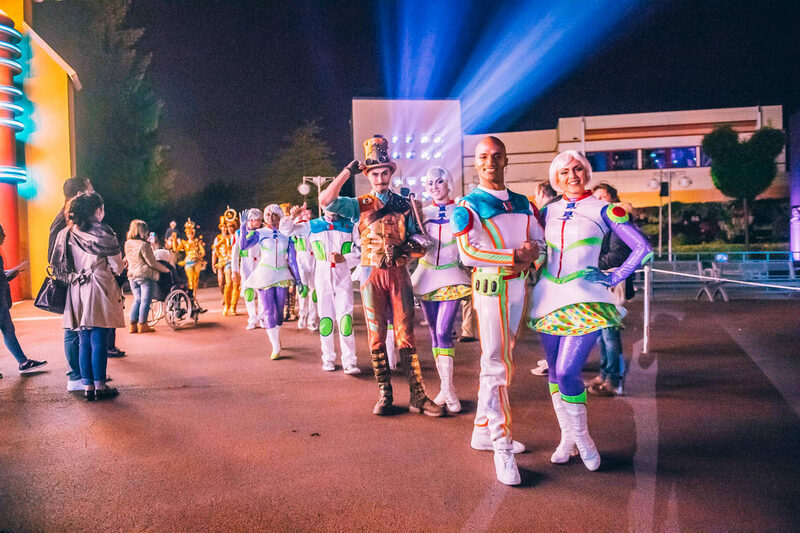 It seems the Discoveryland outfits from the 25th Anniversary Celebration have been reused for #SoireeStarWars. 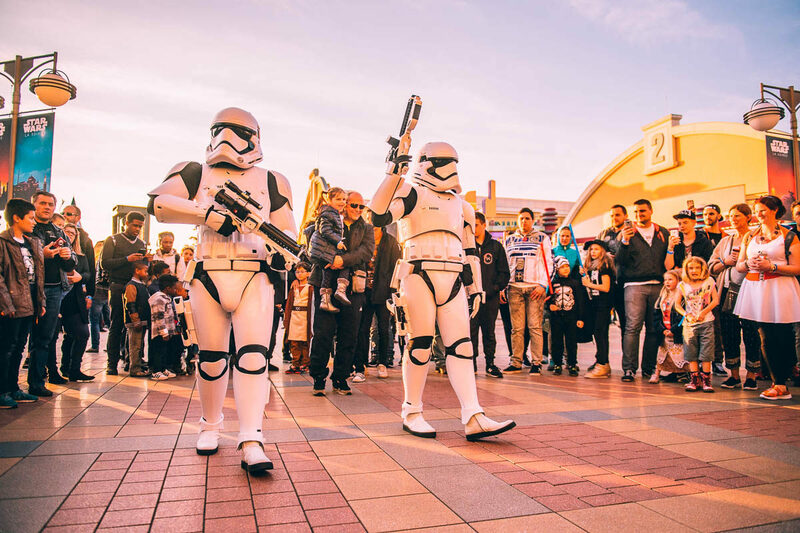 A few stormtroopers a Star Wars event makes not. 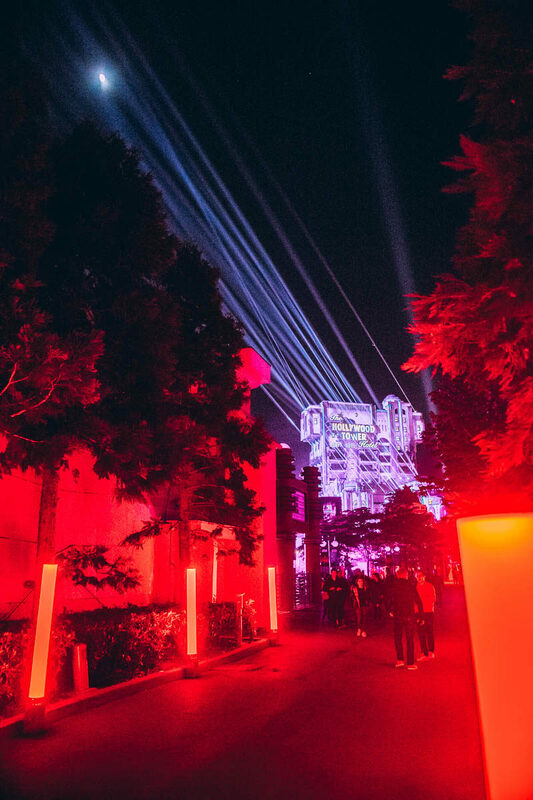 But, if there will be an edition next year, with some increased theming, you can be sure I’ll be there.